Welcome to week thirty-eight of my Tuesday's Truths series with a post dedicated to the bird type known as penguins. Today is World Penguin Day. This event is always celebrated on April twenty-fifth. 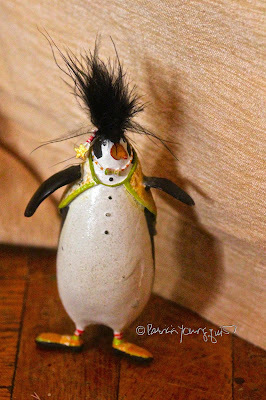 And, as my way of paying homage to this creature, I am including images of my penguin figurine atop this entry. Another holiday, dedicated to penguins is one known as Penguin Awareness Day, and that one is always celebrated on January the twentieth, which is a topic I've discussed in prior entries here on Blogger, including one that you may reference by clicking here. 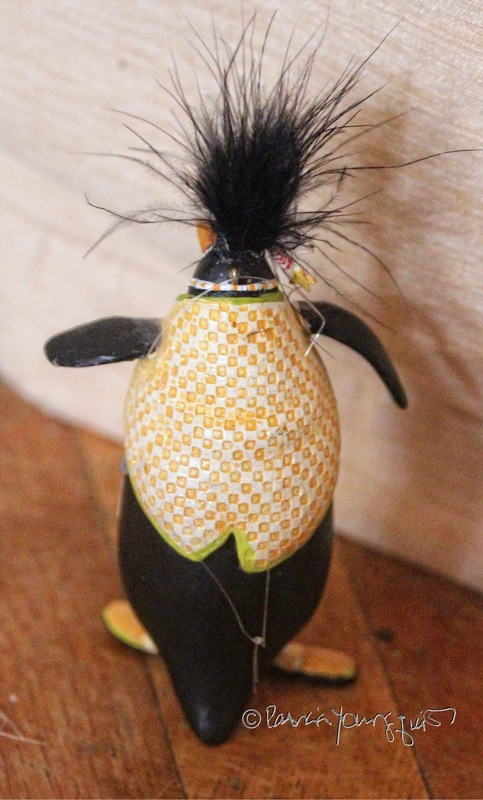 But getting back to today's holiday, World Penguin Day, Holiday Insights (HI), explains that it falls on this date because "it coincides with the annual northward migration of penguins. This happens each year on or around April 25th." And HI reminds their readers that "penguins do not fly. Rather, they walk, or waddle their way to and from... (They) are found in Antarctica, South Africa, Australia, New Zealand, Chile, Peru, the Falkland Islands, and the Galapagos Islands. Elsewhere, they are only found in zoos."